When the AirPods were introduced in 2016, I reacted the same way everyone else did: With wary skepticism. Surely, they couldn’t be as good as Apple said. At $159, the wireless earbuds were expensive, and they looked funky, like electric toothbrush heads. Not to mention they arrived as Apple was “courageously” ditching the headphone jack, so there wasn’t exactly a lot of goodwill floating around the Cupertino campus. Needless to say, first impressions were mixed. But a funny thing happened. People quickly came around to the idea of Apple’s wireless earbuds, with both critics and consumers alike praising their utility and ease of use. The hype, it turns out, was real. Over the past twelve months, I’ve seen AirPods everywhere, from coffee shops to grocery stores. And not worn solely by hip young iPhone users, but a wide range of people. More than a year after launching and the AirPods are one of Apple’s most popular products. In fact, demand became so high over the holidays that they were sold out at Apple Stores around the world. Clearly, AirPods have garnered mass appeal beyond the fervent enthusiast, and they’re poised to become an even bigger hit in 2018. I never planned on getting AirPods, mainly because of their price. I’ve been getting by with $7 wired headphones from Amazon, which do a fine enough job while I’m at work. But the more I saw and read about Apple’s wireless earbuds, the more curious I became. So, I bought them in December, and I don’t regret my decision. It’s a curious thing when something lives up to or surpasses the hype. The AirPods have exceeded my expectations and continue to be a joy to use, faults and all. One of the biggest reasons why is their convenience. Thanks to Apple’s W1 chip, pairing the AirPods with an iPhone is as effortless as opening the AirPods’ case. No complicated menus to jump through or button sequences to press. What’s cool is once the AirPods are setup, they’re available to use with your other Apple devices; I use them with my MacBook Air during the day and iPhone at night. Their convenience extends beyond the breezy setup process. When they’re in your ears, audio will automatically pause when you take them out. Put them back in and your audio will begin again, all without any intervention from the user. You can also adjust the volume, change the song, and double-tap to activate Siri. And they sound pretty decent! Which was a big surprise. I had pretty low expectations going in, but they’re not bad for everyday listening. They do a decent job of blocking ambient noise while immersing me in whatever I’m listening to. If you’ve ever used Apple’s wired EarBuds, the sound profile is very similar. 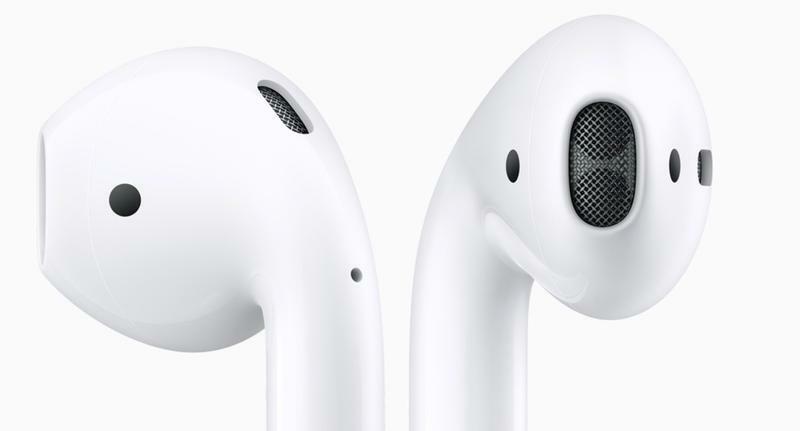 When the AirPods were announced, one of the biggest criticisms focused on how easy they might be to lose. And people made valid points. 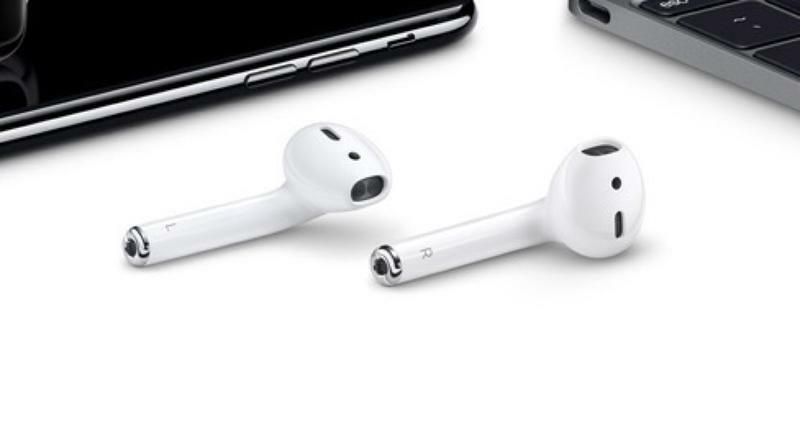 At 0.65 by 0.71 by 1.59 inches, each AirPod is tiny, as is the case, which is about the size of a packet of dental floss. I’m fortunate that AirPods fit pretty well in my ears; good enough that I’m not constantly adjusting them throughout the day. And they’re fairly comfortable, too, which means I haven’t found myself needing to take breaks because of any pain. But that doesn’t mean I’m not terrified of losing one. I typically use AirPods while sitting at my desk, so I’m at a very low risk of one disappearing. But I can only imagine what it must be like for folks who take public transportation. Drop one on the subway and that’ll likely be the last you see of it. That doesn’t mean I don’t frequently see them used in public; I just have yet to wear them while running errands. Not because I’m self-conscious about how they make me look. I just don’t want one falling out of my ear while browsing the cereal aisle. I’m sure my fear of losing one will eventually subside, but it’s there, limiting how I use them. Put it this way: I refuse to use them while washing dishes because I’m worried one will fall down the drain. 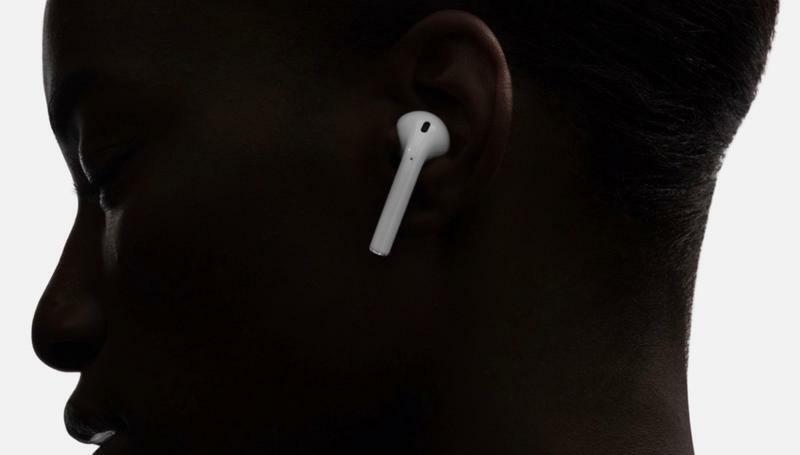 The AirPods look a little funny and there’s always the possibility they could go missing. But they work fantastically well and battery life has been awesome throughout the day (taking calls and listening to music). If you own an iPhone, they’re a must-have accessory for most people. Granted, they don’t beat other noise-cancelling alternatives, and not everyone will find them to be comfortable. But their convenience and ease of use propel AirPods into hallowed ground among Apple’s portfolio. I, along with many others, was skeptical about the AirPods when they were first unveiled. But after using the AirPods for the past month, I’m now a vehement believer in Apple’s wireless headphones. Perhaps the future where no headphone jacks exist won’t be so bad after all.